Oh, how I wish I am better at taking food photos! 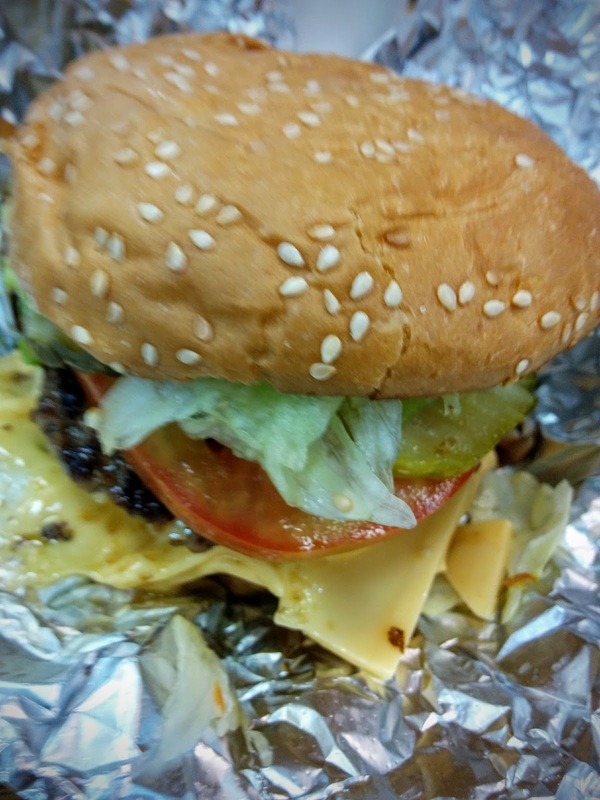 The only picture I took of the food from Five Guys did not give justice to the delicious, juicy burger I had. Therese and I coming from our six-hour shift were exhausted, and I was planning to have dinner at a nearby Japanese Curry restaurant that Foursquare keeps suggesting (yes, I allow Foursquare to be my food guide). Sadly, we didn't find the restaurant early enough that it was already closed for the day. Now, we looked around and saw Five Guys open just across the street from where we were standing. Awesome! Time to eat. This definitely goes to the top of the best burgers I have tried in a long time!